Being a good husband is one of the most difficult tasks we can perform as men. We are taught how to work and to make a living. We are taught how to protect what is important to us. We are taught how to play sports or to fish and hunt. We don’t have to be taught how to be selfish or self-serving; that just comes naturally for everyone. But to be a good husband…that’s a different story. That does not come naturally, nor are most of us taught how to be good husbands. (No offense Dad!) In order to be the husbands that God intends for us to be, we must follow the example that scripture gives us of how Jesus leads His bride. I think back to when Lisa and I first married. Those first few years were filled with conflict and stress. I felt my responsibility was to take care of the outside of the house and occasionally do the dishes. Cooking was out of the question…that was Lisa’s job along with everything else that occurred inside the house. I thought that I could pursue my hobbies even if it took away from my time with my family. I figured that they should understand that sentiment or that they could join me, but I was not changing my hobbies. I did what I wanted. I wondered why things weren’t going well for us. I saw other marriages that looked like ours on the surface. But our marriage was not going forward very quickly; rather, it was going backward and fast! Then God!!!! I just love those two words, don’t you? After living the first few years as a self-serving man, I began to realize that the Bible pointed me to live a different lifestyle. I was not supposed to be like the world thinking that a woman was made just to meet my needs, but rather that I was supposed to love her the way Christ loved the church. There are three specific passages of scripture that has made the biggest impact on my life In the way I relate to my wife, Lisa. 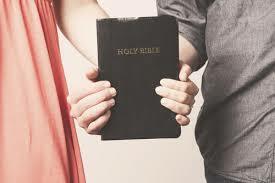 Ephesians 5:25 (NLT) 25 For husbands, this means love your wives, just as Christ loved the church. He gave up his life for her (emphasis mine). The word for love here is agapaō. It is a verb that means to seek the highest good for another person. It is best illustrated by Jesus dying on the cross so that we can experience eternal life. This love is unconditional and sacrificial and it focuses on the well-being of the object of the love. As I began to truly study this verse along with the verses before and after, I realized that Lisa was not responsible to do anything that would or could make me love her more. It was my responsibility to actively love her sacrificially. Talk about a foreign concept in today’s society! Most of the time marital love is based on the performance of the spouse…which makes it conditional. This love is unconditional. Philippians 2:1-5 (NLT) Is there any encouragement from belonging to Christ? Any comfort from his love? Any fellowship together in the Spirit? Are your hearts tender and compassionate? 2 Then make me truly happy by agreeing wholeheartedly with each other, loving one another, and working together with one mind and purpose. 3 Don’t be selfish; don’t try to impress others. Be humble, thinking of others as better than yourselves. 4 Don’t look out only for your own interests, but take an interest in others, too. 5 You must have the same attitude that Christ Jesus had. These verses also have had a major impact on my marriage. As Paul is teaching the church about unity, the same teachings can be applied to marriage. A couple is to be unified, seeking the same mind and purpose, being in agreement with one another, and acting compassionately toward each other. How can these things happen if both of the spouses are being selfish? I believe that as a husband, it is my responsibility to maintain an environment of unity and fellowship. I cannot keep such an environment as I seek my own interests. I have to be willing to put my interests aside at times for the unity of my marriage. This does not mean that I do not get what I want nor does it mean that I cannot ask for something that I want or think I need. What it means is that even when I do ask for something, “Am I thinking about what’s best for my marriage or am I being totally selfish?” The attitude of the husband is crucial to having a great marriage. If the husband has an attitude of selfishness, the marriage will not be great! His attitude has to be one of self-sacrifice as Jesus’ was when He came to the earth to be obedient to His Father. What an example to aspire to live up to! John 13:4-5 (NLT) 4 So he got up from the table, took off his robe, wrapped a towel around his waist, 5 and poured water into a basin. Then he began to wash the disciples’ feet, drying them with the towel he had around him. I began to look for the examples of Jesus loving His disciples in a physical way. There are many examples as He healed people, fed the multitudes, and taught them. This example of Jesus meeting a very practical need in the form of serving His disciples impacted me as I thought about my marriage. Here Jesus is teaching HIs disciples that serving is what true leadership is all about. I desire to be the best leader my family could have, and in order to provide that type of leadership I need to learn to serve them practically and compassionately. Each one of these passages of scripture has had significant influences on my marriage. My actions and my attitude has changed in dramatic fashion as God has led me to better understand what it means to love my wife like Christ loves the church. Men becoming self-sacrificing in their marriages will have a lasting effect on their families and the people around them. How has God taught you to be Self-Sacrificing?